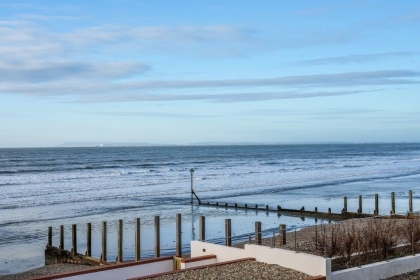 Beachfront holiday home that sleeps 10 in West Wittering with direct beach access and stunning views of the whole of the bay from Selsey Bill to the far end of the Solent and across to the Isle of Wight. 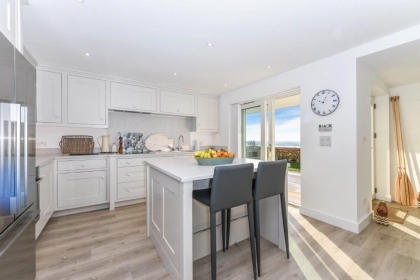 The stunning open plan living accommodation makes this the perfect holiday retreat for families and couples wishing to explore the area. 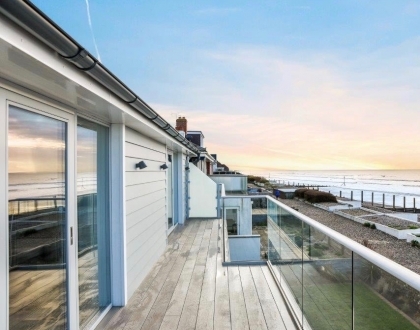 With full width, glass window doors looking over the beach and accessing the large south facing sun deck this is the perfect way to watch both the sunrise and sunset in a tranquil setting. 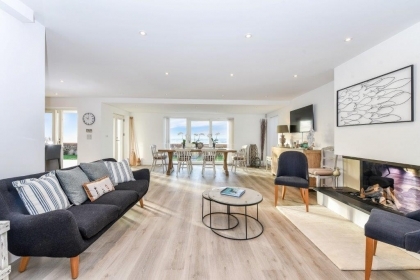 The house has been specifically designed with accommodation on both levels, whilst maximising the views with an additional sitting room on the first floor. Outside there is a parking area for four cars, please note there is external CCTV operating at all times. Bedroom 5: Zip and link 5'6'' double bed. Bedroom 4: Single day bed with pull out single. 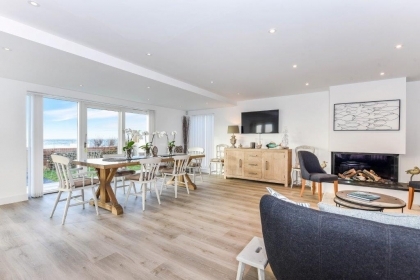 Sitting room with TV and doors leading to balcony overlooking the sea. Bedroom 1: 5'6'' double bed. 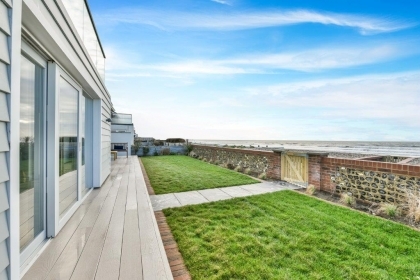 Panoramic views and doors opening to the full width south facing sun balcony. En-Suite Bathroom with bath and separate shower cubicle. 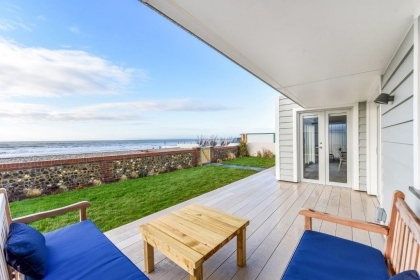 For more detailed information and to check rates and availability, make an enquiry to the owner direct. 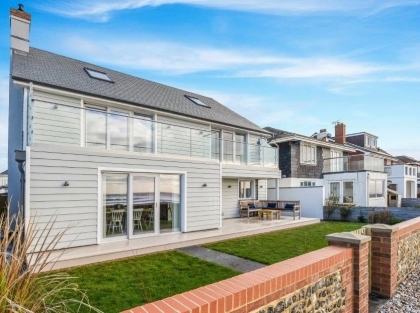 This advertiser has chosen not to display an availability calendar as they may have similar properties to offer you if this property is unavailable.